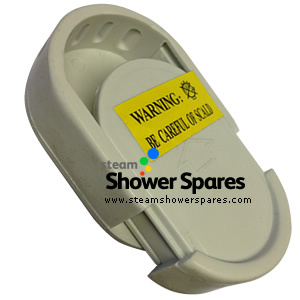 Waste assemblies, pop up wastes and waste housings for low step trays in showers. 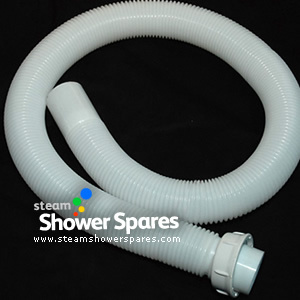 We also sell flexible waste pipes for shower cabins and steam showers, chrome steam pods of AquaLusso Models, white barrel steam pods for Bath Depot and Brownes showers and even the steam pod fixing nuts for steam pods. 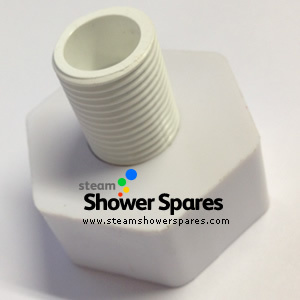 90mm Plug Waste for Low Step Shower Tray. 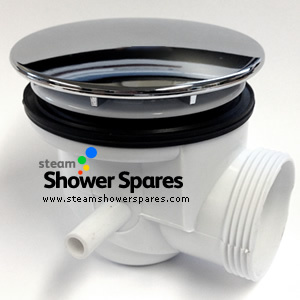 White Oval Steam Pod with slider opening style. 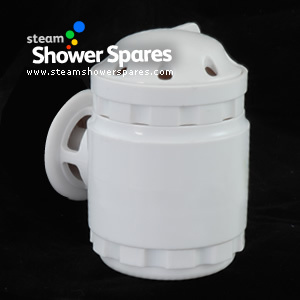 Plug Waste for Low Step Shower Tray. 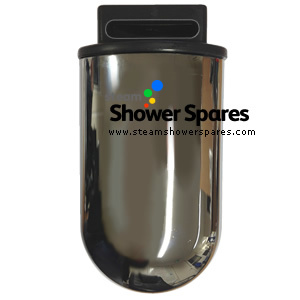 Polished Chrome finished steam pod. 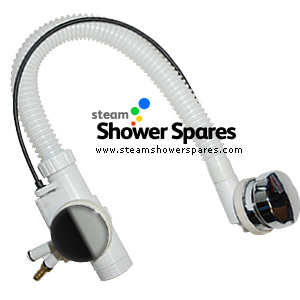 Nut and threaded hose connector for barrel type steam pod.